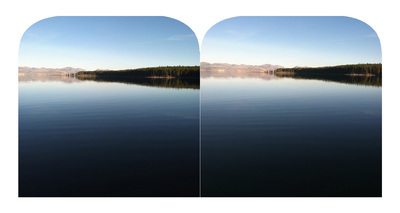 This tangent is the result of noticing that the distance between two iPhone camera lenses, side-by-side, are about the same distance as our pupils. 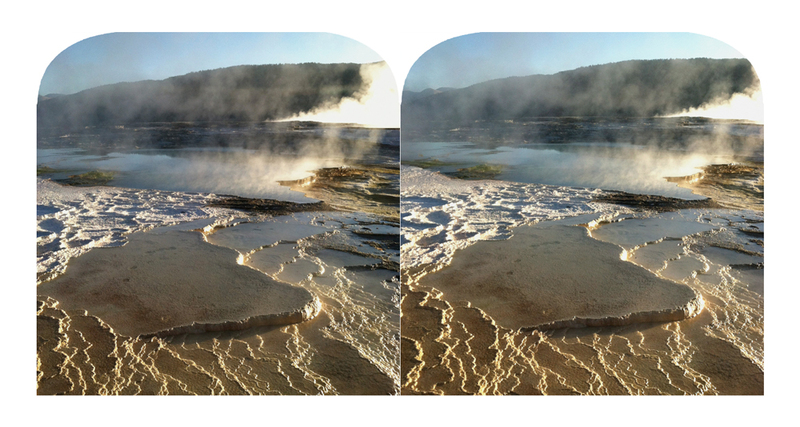 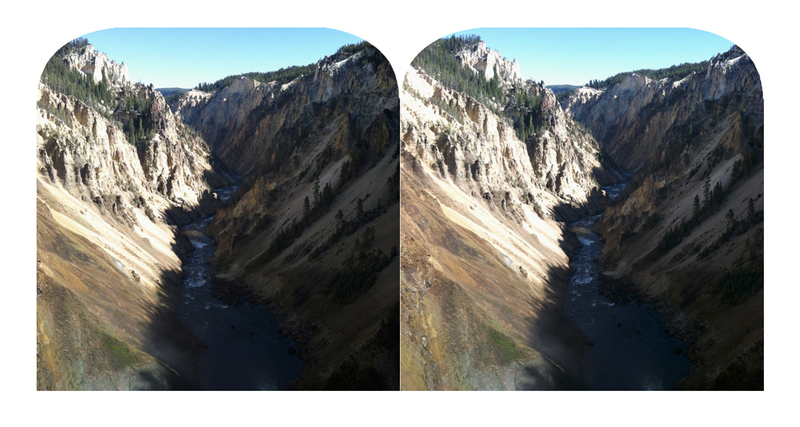 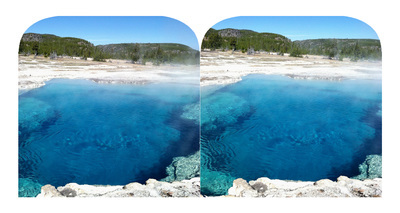 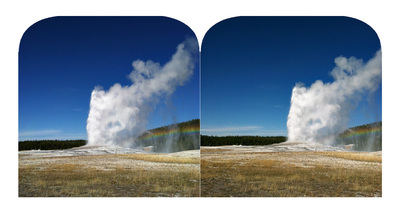 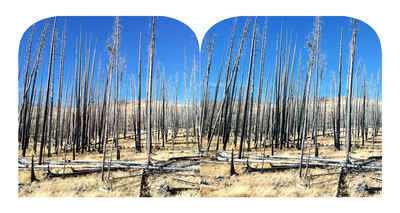 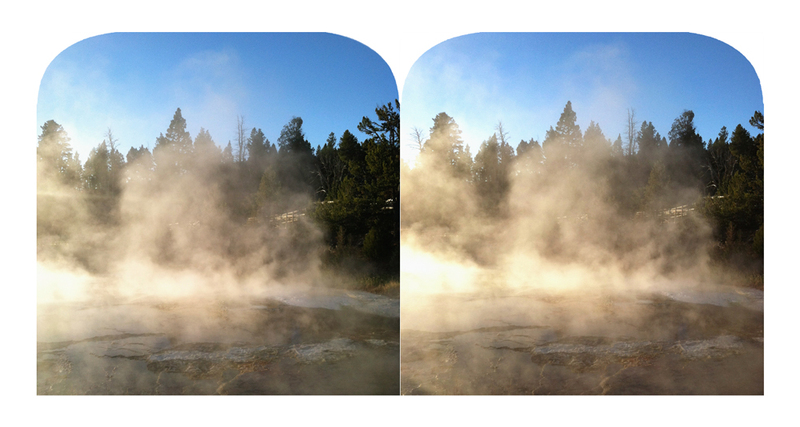 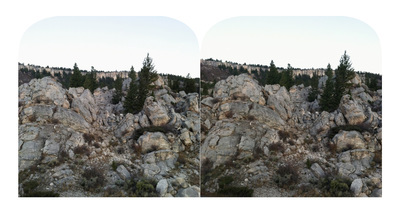 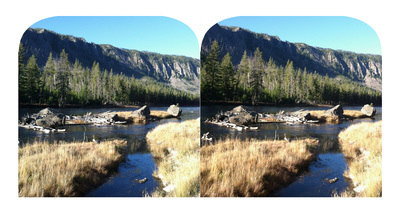 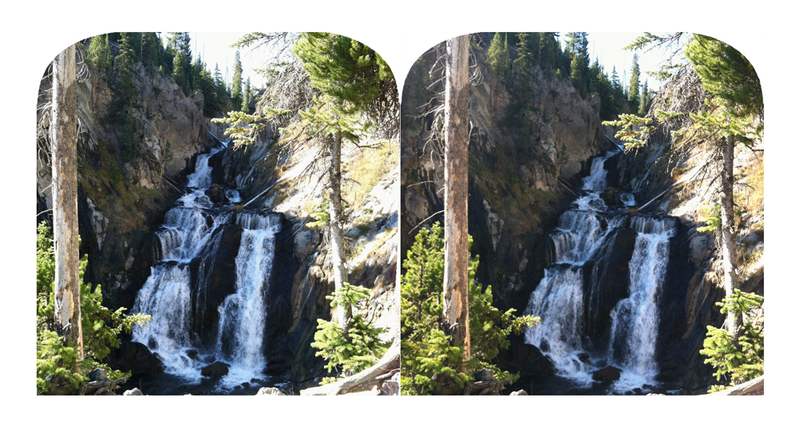 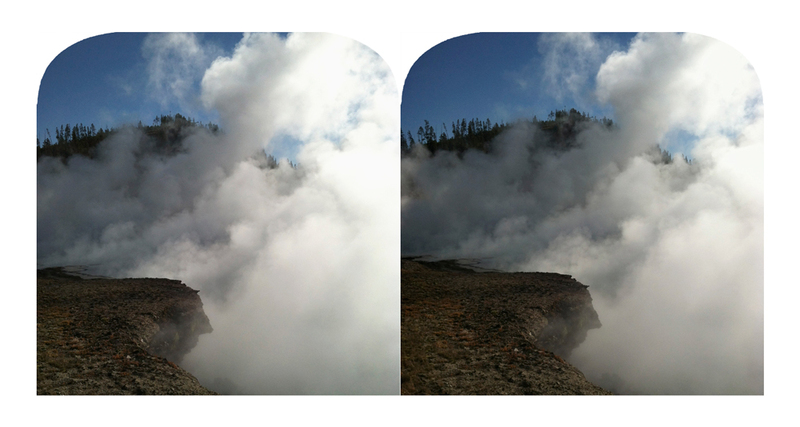 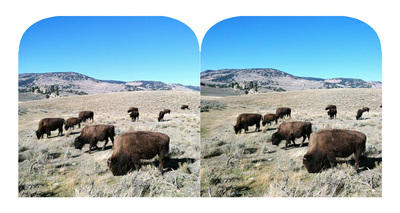 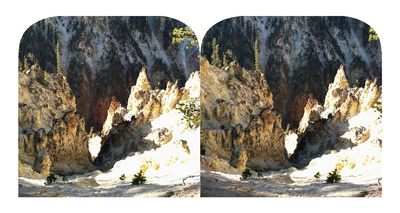 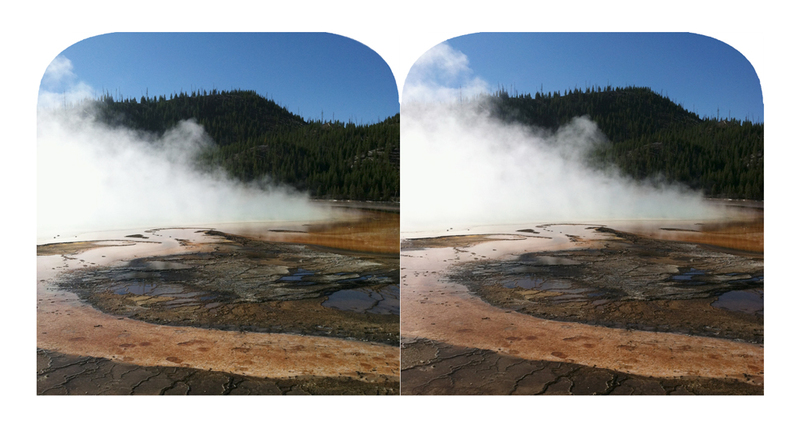 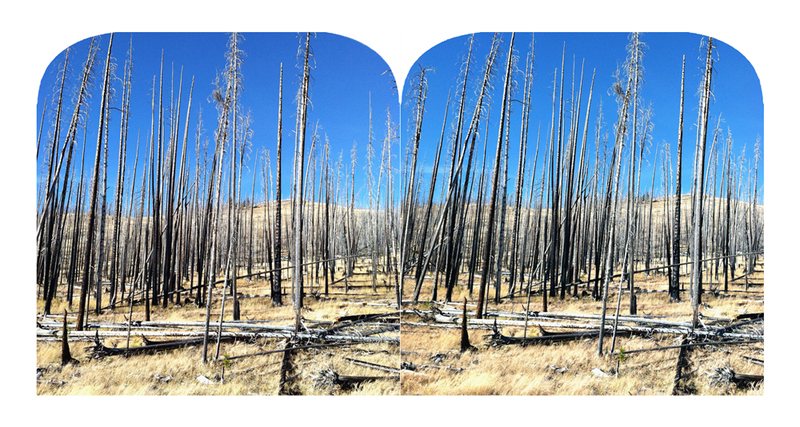 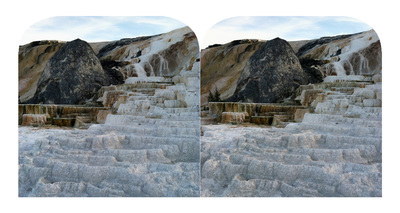 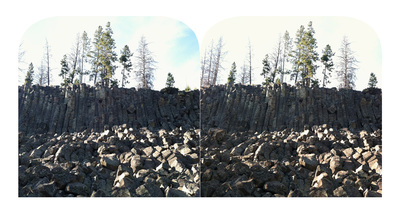 So, a ready-made stereoscopic camera paired with my close proximity to Yellowstone/Teton resulted in a lazy homage to William Henry Jackson. 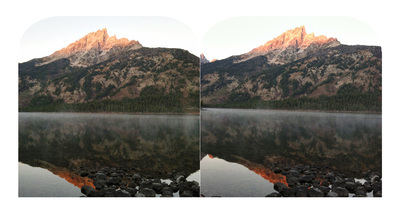 I say lazy, because his stereo views required a bit more effort. 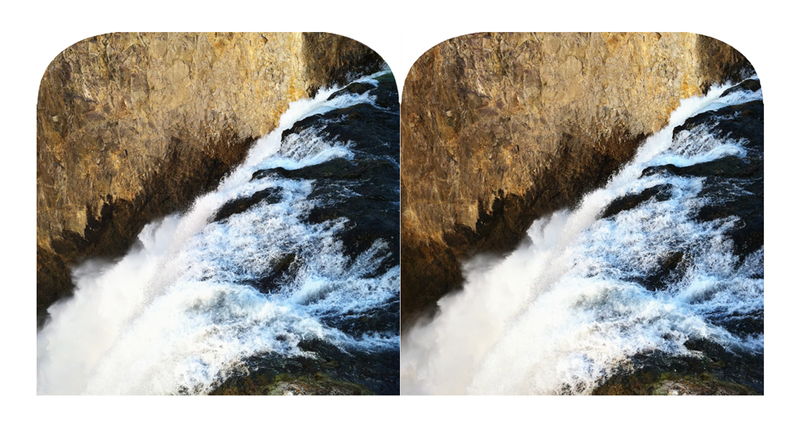 Just a bit. 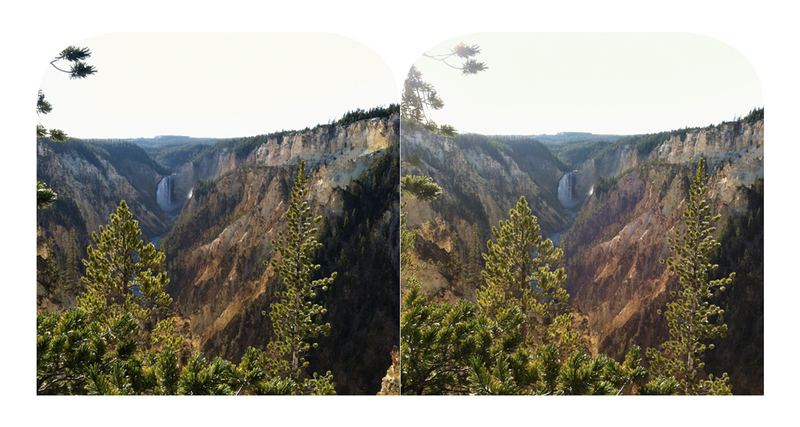 *To view individual photos in 3D, purchase a cheap, plastic stereoscopic viewer. Or instead, blur your vision (or cross eyes) until the two images converge into one--Magic Eye style. Recommended viewing on mobile devices.